In the Name of Allah, the Most Gracious, the Most Merciful. All praise is due to Allah, to him belongs the sovereignty of the heavens and the earth; we seek refuge with him from the evil inclinations of our souls and the evil of our deeds. We testify that there is no deity worthy of worship except Allah, whom there is no partners and that Muhammad is his final prophet and messenger (Peace be upon him). Al Furqan Education Trust was established in 2011 to serve the Muslim community of Hounslow and its surrounding boroughs. 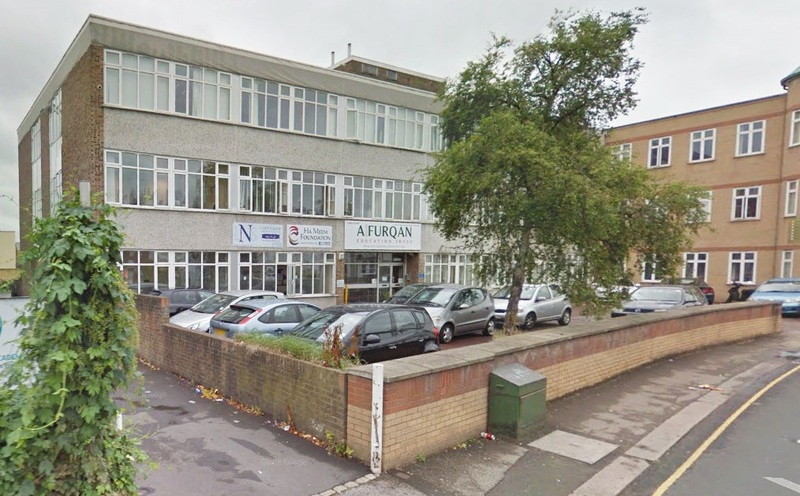 We are an education trust based in Hounslow, West London, officially, known as Al Furqan Education Trust. We serve the local community and cater to them in an array of different projects that serve their Islamic and cultural needs. This Trust was initially introduced into the area primarily due to a very well established and vibrant Muslim community in its midst. Our main purpose therefore is to pursue an Islamic educational and cultural upbringing programme. Moreover, so far we have received overwhelming acceptance and encouragement from the community in which we serve. Hence, it is a branch of the cultural and religious identity of the local Muslim community. Thus, they will be the primary benefactors of this blessed project. By the grace of Allah, The Trust has achieved some particularly noteworthy accomplishments. The Trust has over 300 students studying in the institution with many more on the waiting list. Al Furqan Education Trust also offers many other courses ranging from a wide spectrum of the key subjects. These subjects range from English, Mathematics, Science, General Islamic Studies, Qur’an, the Arabic language and much more. The donors as well as the community have helped considerably and very positively to the project of Al Furqan by helping in fundraising for the Trust and in its charitable endeavours intended to assist the trust in establishing the projects needed to serve the community. This has helped construct a building for Masjid and a building for Education. Al Furqan aims to amplify its objectives for self-development for children and youngsters and takes great pride in this fact. The building for Masjid will be fully vacant for the trust towards the end of 2018 and proper planning is underway. OUR VISION: Alfurqan Education Trust exists to give all children access to a balanced education that covers both Islamic studies and the national curriculum, which prepare them for rich intellectual lives, competitiveness and fulfilling careers. OUR MISSION: To provide activities that is not solely about basic Islamic education and services, but also the national curriculum at different levels. We provide a range of quality resources and culturally sensitive services for the communities of Hounslow borough and surrounding areas, drawing on our Islamic values and heritage, with a view to improving quality of life and enhancing community cohesion. AET’s stablished objectives are the advancement of education in accordance with the doctrine and tenets of Islam in particular but not exclusively by the provision of education to Somali children living in London. And to further such other charitable purposes according to the laws of England and Wales as the Trustees see fit from time to time. Providing comprehensive and balanced education to the young generation. Serving the local Muslim community by promoting a greater understanding of Islam through charitable, educational and social means. Equipping students with the skills they need for their future careers and hereafter. Providing a range of services that will enable young people and women to engage in a positive and safe environment. Providing students with safe environment full of Islamic ethos to prepare them for rich intellectual life and fulfilling careers. Donate towards this noble cause. Make Dua to Allah that this project is blessed. Join in and become a volunteer of Alfurqan Education Trust.